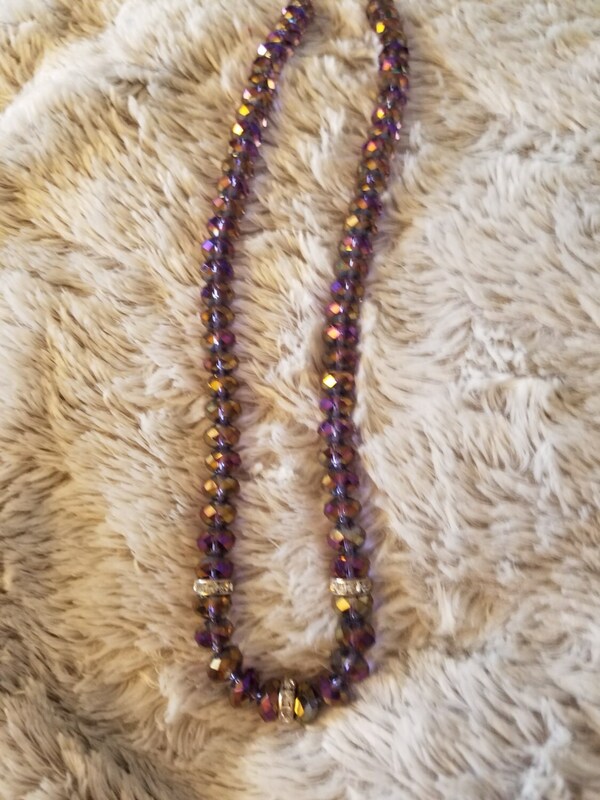 Purple Glass Faceted Beaded Necklace 20 inches. 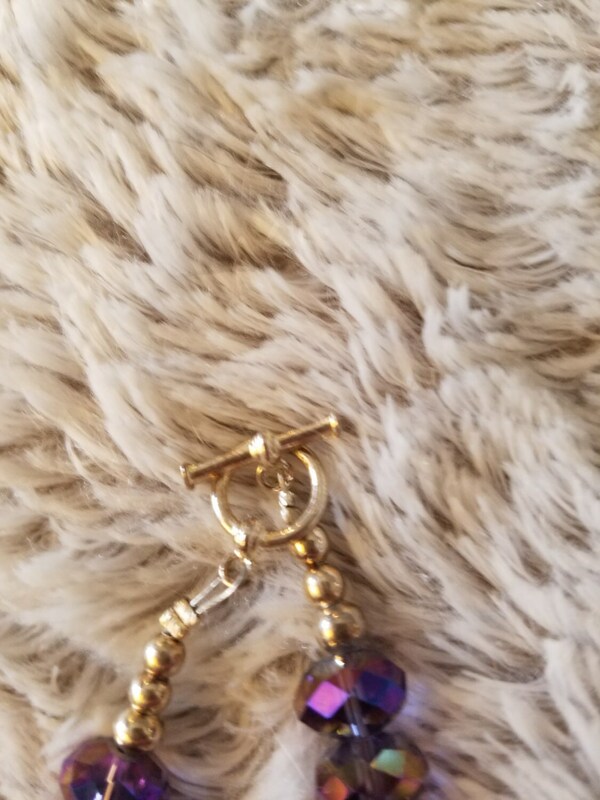 The beads reflect other colors , gold and pink. With small crystal details. 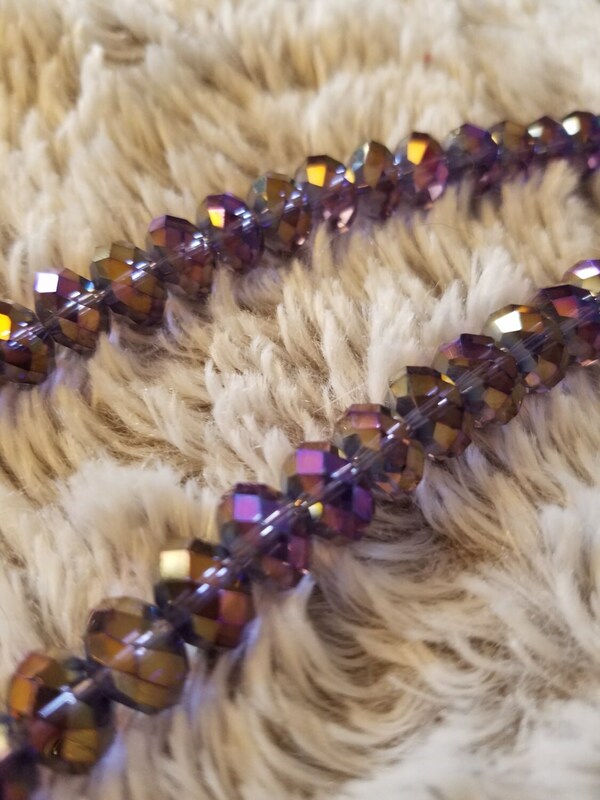 The beads are a larger than my other pieces posted. 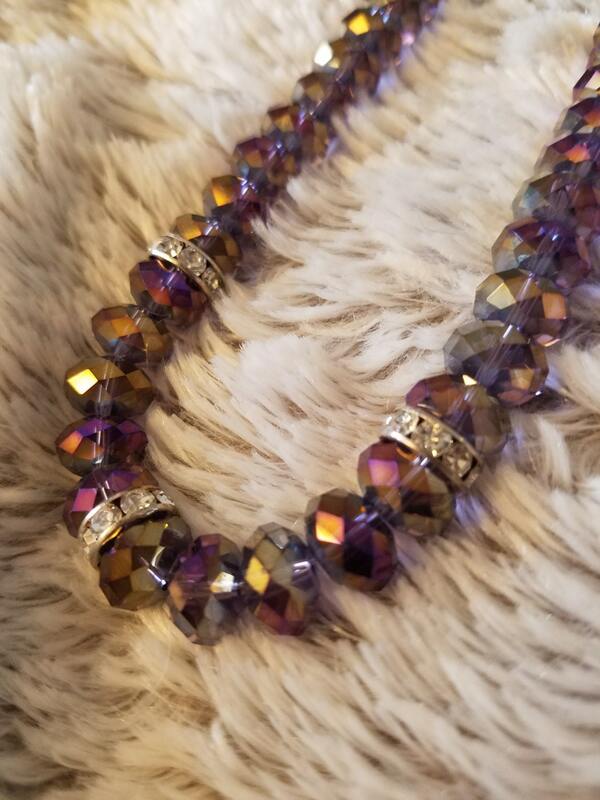 This necklace will sparkle sparkle sparkle in the sun ! Can bring together an everyday outfit , or to be worn on special occasions !! !